HI ALL FROM AUSTRALIA THE LAND DOWN UNDER! for letting us get to know you and joining the team! Sounds like you are dealing with your health journey as naturally and responsibly as possible. I hope you were able to copy and paste some of your into. I wouldnt like to think you sat up late at night compiling this. We all need our beauty-sleep LOL and less stress in our lives. Stress boosts cortisol which in turn affects our appetite and metabolism. I note you posted a video on Flexitarian eating. Hi everyone, Just wanted to introduce myself so you can know a little bit about me. I'm a spark friend of Richards. Thanks Richard and Kaligirl for having me on your team. Have been looking into various different eating plans lately I've been following a few different eating plans and have now decided to incorporate this one the "Flexitarian: into it as well. I'm a 50 year old, happily married mother of 2 grown up Children. I weigh-in currently at 57.9 kilo's and wish to get down to 52 kilo's and maintain at that. I hate the word diet and prefer to call it "My Eating Plan" that I follow. I have had scoliosis in my spine from when I was a teenager and worse a back brace. I also suffer from Osteoarthritis in both my hips which I was told 5 years ago by doctors and specialists that I needed 2 hip replacements then and there. I went through all the usual tests X-Ray, CT Scan, MRI, bone scan, had Prolotherapy and numerous other tests and saw numerous different doctors / specialists for different opinions to come to this conclusion. I also asked while having the x-rays etc.. done that they only take minimal ones not too many more than necessary. I do know if you don't speak up for yourself you'll have radiation galore as they won't worry when taking x-rays about that. I also know that you probably get more radiation in a plane than an x-ray but still I like to be careful. I prefer to do things naturally. But it was good to have all the tests done once as by doing these tests I have diagnosed exactly what I have wrong. Why the pain and difficulty walking etc..
Don't believe surgery is the answer. Surgery is not always successful sometimes the artificial joint that is put in is rejected by the body. They don't last forever and the second time round to have them placed is not always as easy and successful as the 1st time actually much harder so i am told. There is also numerous things you could do before surgery that you are no longer able to do as the new joint does not function as well as the original joint. By doing things naturally, I have avoided surgery thus far. I am an avid believer in wearing orthotic shoes or shoes with orthotic's in them. Without them I do NOT walk. I take numerous natural supplements and proper supplements that are made without synthetics. To do all this is not cheap but hey what price do you put on your life right and living it healthy? Boron (I mix up borax 1/4 teaspoon in 1 cup of water and shake in a jar) 1 teapsoon in water morning and night. But only the un perfumed one is safe for human ingestion. DAILY DOSE - Multi-Vitamin with Turmeric 95% 316mg Boswellia 65% 300mg Bromelain 2400 GDU 80mg Cayenne Pepper 40m H.U. 20mg 1 in the morning and 1 at night. CINNERGY - Blend 500mg Organic Cinnamon Bark Powder Milk Thistle I take 1 in the morning half hour before food. I take Cinnergy for the benefits of the Milk Thistle. I only take certain brands as I like to take proper ones that i know are definitely not made with synthetics. Bioceuticals is a practioner brand only so usually a health food store will not sell it you unless you have a naturapathic script for what you want. Keeping the weight down will definitely help with my hip troubles. As will gentle exercise when I am able. I've been to an exercise physiologist and have exercises that I have to do in and out of the pool they take a little over an hour each day but really seem to help. I do them daily, without fail. I have interests in Feng Shui, reading, candles, beginning sewing / quilting, gardening, computers, natural health and wellness, fishing, being organised, qi-gong, tai chi and going cruising on cruise ships to name a few things. 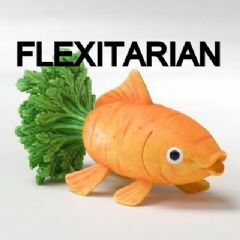 My eating plans I follow are: Eat Right For your Blood Type by Peter D' Admano, The Anti-inflammitory Diet, The Leptin Diet and now the Flexitarian plan. also use non-toxic personal care products. I Only drink purified water from my 4 stage reverse osmosis water filter the we have build in under our kitchen bench.! I grow some of my own vegetables and herbs in our garden and have Mandarin, Naval Orange, Lime and Lemon trees growing. I'm also starting to learn more about "Young Living Essential Oils" with an aim to incorporate them into my life. I've choosen these particular ones as the are the real deal and most purest ones. These are others around and the "Detorra" ones are people who where part of Young Living Essential Oils who decided to branch out and do their own. So while Detorra is similar they are not the best. Together we can do this! I know we can. Keep Smiling and thanks for having me in the team, I look forward to being an active member.